Bulgarian Americans are Americans of Bulgarian descent. For the 2000 US Census, 55,489 Americans indicated Bulgarian as their first ancestry,while 92,841 persons declared to have Bulgarian ancestry. Those can include Bulgarian Americans living in the United States for one or several generations, dual Bulgarian American citizens, or any other Bulgarian Americans who consider themselves to be affiliated to both cultures or countries. Some Bulgarian Americans might be born in Bulgaria, the United States or other countries with ethnic Bulgarian population. Because some Bulgarians are not American citizens, others are dual citizens, and still others’ ancestors have come to the US several generations ago, some of these people consider themselves to be simply Americans, Bulgarians, Bulgarians living in the United States or American Bulgarians. After 2000 US census, in the recent years the population grew significantly — according to the general assessments of Bulgarian diplomatic representations in the US for 2010, there are 250,000 Bulgarians residing in the country, and more than 30,000 students.according to Wikipedia.Mass Bulgarian immigration to the United States began sometime in the second part of the 19th century. Chicago is a good example of a city known through the years for being inhabited by a significant number of Bulgarians compared to other cities. There is a book written by a famous and eminent Bulgarian writer Aleko Konstantinov,called To Chicago andBack (Bulgarian:”До Чикаго и назад”) which was first published in 1894. According to the 2000 census,the highest number of Bulgarians lived in the cities of New York, Los Angeles, Chicago and Miami. Aside from the rare adventurer, few Bulgarians settled in the United States before the great immigration wave of the early twentieth century, in which thousands of southern and eastern Europeans altered the country’s ethnic cast. The earliest documented Bulgarian immigrants were converts to Protestantism, who arrived around the middle of the nineteenth century to pursue higher education in America, as Nikolay G. Altankov notes in The Bulgarian-Americans, published by Ragusan Press in 1979. Their passages were funded by American Protestant groups intent on grooming talented natives for missionary work back in Bulgaria. Although some Bulgarian students did return home to spread the gospel, others chose to remain in the States, settling in their adopted country with their families. Early Bulgarian Americans included Ilya S. Iovchev, who arrived in 1870 and became a journalist, and Hristo Balabanov, who came to the States in 1876, earned an M.D., then established a medical practice in Tacoma, Washington, in 1890. Bulgarians have a long tradition, dating to the Byzantine period, of migrating to flee political turmoil. Every unsuccessful revolt against the Turks in the eighteenth and nineteenth centuries was accompanied by mass migrations of Bulgarians to Russia, the Ukraine, Moldavia, Hungary, Romania, Serbia, and other Balkan nations. Expatriate Bulgarian communities formed and thrived in some of those countries. Today, an estimated two million ethnic Bulgarians live beyond the country’s borders, with the vast majority residing in Russia and Romania. Bulgarians first started immigrating to the United States in large numbers between 1903 and 1910. During this period, approximately 50,000 Bulgarians from Turkish-occupied Macedonia and from Bulgaria proper, or “the kingdom,” arrived in the United States. Economic opportunity was the primary attraction for Bulgarians from “the kingdom,” who were escaping overpopulation and unemployment in their native regions. Macedonian-Bulgarians had an additional impetus to emigrate; the unsuccessful St. Ilya’s Day revolt of 1903 drew brutal reprisals from the Turkish army, which laid waste to three Macedonian provinces and killed 5,000 revolutionaries and villagers. Some 330,000 homeless Macedonians fled to Bulgaria. Within months, the largest wave of Bulgarian emigration had begun. After 1910, political developments continued to influence the ebb and flow of emigration from Bulgaria. Territorial loss following the Balkan Wars and the First World War drove between 400,000 and 700,000 ethnic Bulgarians from Aegean Thrace, Macedonia, and Dobrudzha into Bulgaria proper. Their arrival strained the already limited economic resources of the country and led many Bulgarians, in turn, to seek work abroad. For the typical Bulgarian immigrant of the early twentieth century, passage to the United States was not obstacle-free. With little of value to his name, a peasant would sell his land and livestock, mortgage his farm, or take a high-interest loan from a steamship agent in order to fund his transatlantic trip. Such a costly outlay meant there was no turning back. Some immigrants began their journeys at Danube River ports, traveling to Vienna and continuing overland by train to any number of European port cities (Hamburg, Le Havre, Trieste), where they spent up to a week or more in detention camps before boarding a ship to New York. Others embarked from the Greek ports of Piraeus or Salonika. Although their points of departure varied, most immigrants spent the month-long ocean voyage in steerage, in the hold of the ship, where crowded, unsanitary conditions and poor food encouraged the spread of disease. Many Bulgarians sought to avoid stringent entrance exams at Ellis Island, the immigration station in New York City, by entering the country illegally, through Canada or Mexico. Bulgarian immigration never boomed the way immigration from other southern or eastern European countries did, and in 1924, the National Origins Immigration Act limited the number of Bulgarians who could enter the United States to a mere 100 a year. From 1924 until the lifting of the national origins quota restrictions in 1965, only 7,660 Bulgarians were officially admitted to the United States. Historians believe thousands more made America their home during this period, entering illegally via Canada or Mexico or with non-Bulgarian passports issued by the country of their last residence rather than the country of their birth. Many Bulgarians, it is believed, have been recorded as Turks, Greeks, Serbs, Romanians, Russians, or Yugoslavs. At one point, U.S. immigrations statistics did not distinguish Bulgarians from Serbs and Montenegrins. For these reasons, the actual number of people of Bulgarian ancestry living in the United States is believed to be significantly higher than the 1990 U. S. Census figure—slightly over 70,000 as opposed to the official 20,894. The 1924 quota restrictions affected not only the dimension of Bulgarian immigration but its character as well. Most of the immigrants of the interwar years (1919-1939) were women and children joining husbands and fathers who had already established themselves in America. Otherwise, immigration from Bulgaria during these years had dwindled to a trickle. The rise of the Communist state in 1945 precipitated a new wave of immigration. In contrast to the earlier immigrants, the postwar emigres were primarily political refugees and professionals who left Bulgaria with no expectation of returning. Thousands fled in the wake of the Soviet invasion of Bulgaria in 1944. Following retreating German troops to Germany or Austria, some Bulgarians settled in western European countries; others entered the United States under the Displaced Persons Act of 1947. A handful became Americans under the auspices of a 1944 congressional act that granted citizenship to refugees who were accepted into U. S. military service overseas. Until the Bulgarian borders were sealed in 1949, refugees continued to leave by the thousands. The route to America was often circuitous, with refugees typically spending several years in non-Communist European countries— Greece, Turkey, Italy, Austria, Germany—or even in South America before finally making their way to the United States. After 1956, the flow of postwar refugees slowed to a mere 100 to 300 a year, but periodic relaxations on travel or border regulations continued to give the determined occasion to flee. In 1989, the demise of single-party rule in Bulgaria brought an end to Communist restraints on travel and opened the country’s borders. Many Bulgarians, fleeing economic instability under the new government, are once again leaving for western European countries or America. Since 1990, they have been immigrating to the United States at a rate of about 1,000 a year. Like those who emigrated during the Cold War, these immigrants are predominantly skilled workers and professionals. The early immigrants tended to settle in Slavic or Balkan enclaves in the Midwest and the Northeast, where unskilled laborers could find work in factories, mills, and mines. The earliest recorded Bulgarian communities arose shortly after the turn of the century in the cities of Steelton and Philadelphia, Pennsylvania; Cleveland and Dayton, Ohio; Chicago, Illinois; St. Louis, Missouri; and New York City. Smaller numbers of Bulgarians settled in the American West or Northwest as farmers or railroad workers. Between 1910 and 1914, a group of ethnic Bulgarians from Bessarabia established a farming community in North Dakota. Another group established itself in Yakima, Washington, as fruit growers. Nevertheless, the most popular destination for new arrivals was the Midwest, where, for instance, the twin cities of Granite City and Madison, Illinois counted over 6,000 Bulgarian inhabitants in 1907. As the automobile industry grew, Detroit became home to the largest concentration of Bulgarians in this country—there were 7,000 in the city alone in 1910, with an additional 1,500 scattered in nearby Michigan cities. An estimated 10,000 Bulgarian Americans continue to live in Michigan today. In contrast, only about three to four thousand Bulgarians reside in the New York metropolitan area. Other cities hosting large numbers of Bulgarian Americans include Gary, Fort Wayne, and Indianapolis, Indiana; Lorain, Toledo, Cleveland, Youngstown, and Akron, Ohio; and Los Angeles, California. Pittsburgh, once a hub for Bulgarian immigrants, has declined in importance in recent years, while the greater New York and Los Angeles areas have attracted growing numbers of recent immigrants. As an ethnic group, Bulgarian Americans do not have a conspicuous or clearly defined image in the United States. Scholars have attributed the group’s low profile to a number of factors. Bulgarian immigration, even at its height (1907-1910), never approached the magnitude of immigration by other comparable southern or eastern European nationalities. Practically nonexistent before 1900, Bulgarian immigration also occurred later. Those who did come led largely nomadic lives or were dispersed around the country and tended not to form distinct ethnic communities. There were no “little Bulgarias” from which the American public could draw its stereotypes. According to Nikolay Altankov, the first scholar to make an extensive study of Bulgarian Americans, the group’s own attitudes may have encouraged the indifference of the general public. Far from being vocal or visible, Bulgarians tend to shy away from involvement in public life. With some exceptions, they prefer to devote their energies to friends and families rather than to politics or ethnic activities. When the early immigrants did attract notice, their “Bulgarian-ness” was often obscured by their identification with other Slavs. During the heyday of Bulgarian immigration, outsiders might have recognized Granite City’s “Hungary Hollow” as an eastern European enclave, but few bothered to distinguish Bulgarians from their Magyar or Slavic neighbors. Insofar as Bulgarians were confused with larger Slavic groups, they encountered the same prejudices as those immigrants. Their opportunities for employment were limited, and they took the low-paying, unskilled, and often dangerous work that the native-born refused. They faced the inevitable derogatory epithets. Established Americans looked down on the newcomers, whose unfamiliar customs and lack of English skills alienated them from the mainstream and whose poverty forced them to live in crowded, unsanitary conditions. By contrast, immigrants who arrived during the Cold War as political refugees received a more welcome reception. Their strong anti-Communist stance inspired sympathy. They were better educated, more cosmopolitan, and more highly skilled than the earlier immigrants. As academics, doctors, engineers, and small business owners, they had stronger financial prospects in their adopted country. However, because their numbers were small and they were even less likely to settle in specifically Bulgarian neighborhoods, they failed to raise the profile of Bulgarian Americans. Stoyan Christowe in 1919, cited in Ellis Island: An Illustrated History of the Immigrant Experience, edited by Ivan Chermayeff et al. (New York: Macmillan, 1991). The descendants of the early immigrants, the second generation, often chose to live in non-Bulgarian neighborhoods and marry out of their ethnicity. Educated in American schools and steeped in American culture, they were eager to cast aside the “differentness” that marked their parents. Increasingly, they spoke only English. Observance of Bulgarian customs went the way of regular attendance at a Bulgarian church. In short, second-generation Bulgarian Americans assimilated into American life, frequently at the expense of ethnic heritage. And yet, from the relatively comfortable vantage point as third-generation Americans, their children are feeling the draw of their past. Many Americans of Bulgarian descent are re-discovering their ethnic roots. Bulgarian folk dance and music, in particular, are enjoying a new popularity among Bulgarians and non-Bulgarians alike. In Bulgaria, practice of traditions varies from region to region. A city dweller, for instance, might not adhere as strictly to tradition as a villager does. And the customs the urbanite follows differ from those practiced by the farmer, whose life is shaped by close ties to the land and a greater dependency on the vagaries of nature. Historical circumstance has exacted its tolls, somewhat estranging the postwar generations of Bulgarians, educated under Communism, from the beliefs of their ancestors. These tendencies are preserved among immigrants to the United States. Although immigrants bring their traditions to their adopted country, their American-born children, in their haste to assimilate, may be eager to shed long-held customs. Nonetheless, certain traditions marking rites of passage, such as baptisms, weddings, and funerals, have had tremendous staying power. Bulgarian proverbs usually rhyme in the original language. Even in translation, however, they convey common Bulgarian values such as hard work and respect for friends: God gives, but doesn’t put it in the cowshed; A group that gets along together will be able to raise a mountain; A clear account makes a good friend; Study brings success; Nothing is impossible to a Bulgarian. Like the cuisines of its Balkan neighbors, Bulgarian cooking has assimilated many elements of Turkish cuisine. There is an emphasis on dairy products, mainly yogurt and cheese; on nuts, especially the walnuts and sunflower seeds of the Tundzha Valley; and on fresh, seasonal fruits and vegetables. Traditional meat dishes—stews, sausages, kebabs (grilled meats)—are most often made of lamb, veal, or pork. Also popular are chicken, beef, brains, kidney, and liver. Bulgarian dishes are generally spicier than those of neighboring countries, and cooks are liberal in their use of herbs and strongly flavored condiments such as garlic and chili peppers. Because many of the ingredients in Bulgarian cuisine are available in the United States, first- and second-generation Bulgarian Americans have continued cooking and consuming the dishes they enjoyed in Bulgaria. However, family meals often become more elaborate and meat more frequent if the family prospers in its adopted country. Conversely, the diets of poor, early immigrant laborers tended to match their humble living conditions. Traditional breakfasts are simple, eaten at home before the work day begins. The breakfast usually consists of bread, fruit, and cheese—the most familiar being sirene, a salty, feta-like cheese, and kashkaval, a hard cheese similar to Cheddar— which are washed down with a glass of yogurt ( kiselo mlyako ) or boza, a millet drink. Mid-day meals tend to be soups or fried dishes, cooked in butter or oil, while grilled meat or spicy stews, preceded by a salad tossed in yogurt or in oil, are the mainstay of evening meals. Bulgarians have traditionally relied on numerous light snacks (fruit, cheese, bread, and other baked goods), eaten throughout the day, to sustain them as they labored in the fields or pastures or, later, in the factories and mines. The classic Bulgarian dishes are simple and hearty. The “national soup,” tarator, is a cold cucumber and yogurt soup seasoned with dill and garlic and topped with chopped walnuts. Another popular starter, the salata shopska, is a mixed salad of tomatoes, cucumbers, cabbage, peppers, and onions tossed in vinegar and sunflower oil and sprinkled with a light layer of crumbled cheese. Bulgarian meals are invariably accompanied by the oven-baked bread known as pitka, which is served with ciubritsa, an aromatic condiment with a native herb resembling tarragon at its base. Of the traditional Bulgarian main dishes, gyuvech is the best known. Baked in an earthenware dish, it is a rich, spicy stew of various vegetables— usually some combination of peppers, chilies, onions, tomatoes, eggplant, and beans—cooked with meaty chunks of veal, pork, lamb, or beef, then slathered with a yogurt-egg sauce which bakes into a crust. Also popular, sarmi is made by stuffing cabbage leaves with minced meat and rice. Other common meat dishes are kebabche, a grilled patty of minced pork, lamb, and veal flavored with garlic, and kyufte, a meatball of the same ingredients, as well as the more universal chops and filets of veal and pork. Desserts, too, reflect Bulgaria’s history and its unique geopolitical position: the middle Eastern pastry baklava, a layered pastry of chopped nuts drenched in honey, is as common as garash, a chocolate layer cake with central European antecedents. Local fruits make another post-dinner favorite, the dessert varying with the season— strawberries, raspberries, plums, cherries, peaches, apples, and grapes. Coffee, or kafe, is consumed Turkish-style or as European espresso. Music and dance are central to Bulgarian culture. Music has bound together the community in times of oppression and in celebration. Significantly, there are few strictly solo performances of folk dance or music. Songs are used to commemorate religious occasions, traditional holidays, past wars, and historical events, births, marriages, deaths, departures, and harvests. Even religious services are chanted in song-like fashion rather than read. Song and dance are very much a part of the fabric of daily life, as well. Shepherds can still be heard in the Rhodope Mountains playing plaintive songs to their flocks, using the traditional goatskin bagpipe. In villages and cities alike, a Bulgarian youth will announce romantic intentions by challenging the object of his or her interests to a dance contest. And any given performance of the popular line dance, the horo, will include participants of all ages in its circle. Because Bulgarian music and dance are communal in nature, they are preserved among immigrants only to the extent that there is a close-knit community. Early Bulgarian immigrants often held evening parties, or vecherinka, at Bulgarian-owned saloons or coffee houses, where workers sought release from their long, difficult days in song, dance, and drink. Saint’s days and holidays were greeted with the greatest festivity, as men performed variations on the basic horo, or circular line dance. The immigrants could briefly forget their hardships in lively dances like the ruchenitsa, which allowed them to showcase their agility in leaps and squats, or the kopenitsa, with its tricky, rhythmically complex steps. Increasingly isolated from Bulgarian American daily life, however, traditional music and dance is relegated today to weddings and other special events or to the occasional performance at ethnic festivals. Although its role in Bulgarian American life has perhaps declined, Bulgarian folk music has inspired a new generation of Western artists, from the American pop singers David Byrne and Paul Simon to the English singer-songwriter Kate Bush, to the ranks of non-Bulgarian Americans who have formed traditional Bulgarian folk dance and music groups in the United States. New York City alone boasts the women’s singing group, Zhenska Pesen, and the Bosilek Bulgarian Dance Troupe. Contemporary music from Bulgaria is also enjoying an unprecedented popularity in the West, and many recordings are available on Western labels. The best known of these is Le Mystere des Voix Bulgares, performed by the Bulgarian State Radio and Television Female Vocal Choir. Bulgarian music is distinguished by its rhythmic complexity, heavy ornamentation, and the stirring and slightly nasal sound of the “open-throated” singing style. Most traditional folk songs are ornately decorated solos performed by a woman against the steady drone of a bagpipe or another voice. (Songs for dancing, categorized as “useful” and, therefore, less artistic music, were simpler and less decorated.) In some villages, a polyphonic style arose in which the women sing in two- or three-part harmony and decorate their songs with whoops, vibrati, and slides. The female singers are sometimes accompanied by men playing traditional Bulgarian instruments; these include, most commonly, the ghaida, or goatskin bagpipe; the kaval, a sheperd’s flute made of three wooden tubes; the gadulka, a stringed instrument with no frets or fingerboard on its neck; the tambura, a lute-like stringed instrument with a long, fretted neck; and the tapan, a large, two-sided drum. Bulgarian Americans celebrate Christmas (Koleda), New Year’s Day (Surva), and Easter (Velikden) and, to a greater or lesser degree, a smattering of prominent saints’ days. These include St. Cyril and St. Methodius Day on May 11, St. Constantine and St. Elena Day on May 21, St. Elijah’s Day (Ilinden) on July 20, the Birth of the Virgin on September 8, St. John of Rila’s Day (Ivan Rilski) on October 19, St. Demetrius’s Day (Dimitrovden) on October 26, the Day of the Archangels Michael and Gabriel (Arhangelovden) on November 8, and St. Nicholas’s Day (Nikulden) on December 6. Arguably the most important secular holiday, March 3rd marks the liberation of Bulgaria from the Turks. Immigrant families also observe the standard American holidays, such as Thanksgiving and the Fourth of July. Most saints’ days are recognized simply by feasting or attendance at special church services, where candles are lit before the appropriate icon. Other saint’s days coincide with seasonal celebrations of pagan origins and incorporate pre-Christian customs into a Christian framework. On New Year’s or Saint Basil’s Day, for instance, groups of young children carrying survaknitsa, bundles of twigs draped with colored thread and dried fruit, supposedly bring luck and prosperity to their neighbors by visiting their homes and lightly slapping them with the fruit-laden twigs. Kukerov den welcomes the start of the agricultural year. On the first Sunday before Lent, young men ensure fertility by parading and dancing in huge masks, or kuker, made of animal skins and fur. On March 1st, or Baba Marta, people celebrate the first day of spring by wearing or giving away martenitsa, a good luck charm made of two woolen balls, one red, symbolizing red cheeks, and the other white, for white skin. A second springtime fertility rite, in which unmarried women perform dances and songs, coincides with St. Lazar’s Day, eight days before Easter. Summer begins on the day of St. Constantine and St. Elena, while St. Demetrius’s Day, October 26, is a harvest holiday marking the end of the agricultural year. The extent to which Bulgarian American families observe these holidays is often determined by the presence or absence of ties to a larger Bulgarian American community. Bulgarian is a south Slavic language, closely related to Serbo-Croatian and Slovenian and more distantly to Russian. It is one of the oldest written languages in Europe. Like Russian, Bulgarian uses the 29-character Cyrillic alphabet, which was adapted from the Greek alphabet in the ninth century A.D. to accommodate the sounds of the Old Slavonic tongue. The Orthodox missionaries Cyril and Methodius created this alphabet for the spoken Slavic language, and their disciples Kliment and Naum translated religious texts into Old Church Slavonic using the script, which they named Cyrillic after its creator. The alphabet spread from early medieval Bulgaria to other Slavic civilizations. With substantial justification, Bulgarians consider their native tongue the Ur-Slavic language that influenced all the other Slavic languages. Bulgarian has gained by its contact with other civilizations. It retains over 2,000 words from the pre-Cyrillic Old Slavonic tongue. Four centuries of Greek Orthodox supervision over the Bulgarian church has added Greek religious terms, as well as some Greek words used in daily life, to the Bulgarian language. The Turks, then the Russians, donated vocabulary relating to political, economic, and day-to-day life. The postwar era introduced to Bulgarian a number of western European words, especially in the fields of technology and science. Bulgarians in the United States have likewise incorporated many American English words into their daily speech. However, only the immigrant generation uses this mongrelized Bulgarian; their American-educated children are more likely to consider English their primary language. Bulgarian American communities took root slowly in the decades preceding the First World War. The unmarried men who first came to the United States believed their stay would be temporary. That perception, coupled with the mobile nature of their work, initially inhibited the creation of permanent communities. Nevertheless, immigrant social life came to organize itself around two types of institutions during the early part of this century: the boort, or boardinghouse, and the kafene, or cafe. The boort was a Bulgarian-owned boardinghouse that allowed groups of immigrant men to save money by living together and pooling their household duties and expenses. It was usually run by a Bulgarian who had met with enough success in America to buy a house. Confining his private quarters to a single room or two, he would rent out the remaining room or rooms. The boardinghouse owner often held a factory job as well. If he was married, his wife and family might provide meals or other housekeeping services to the boarders for an additional fee. More often, the boarders chose to do their own chores. The typical boort was overcrowded and sparsely furnished. Boarders slept and ate in shifts, six or more to a single room. They often worked different rotations at the same factory or mine. Although conditions ran to the squalid, many immigrants preferred saving their earnings to living in comfort. The kafene (cafe or coffeehouse) offered an escape from the rigors of work and crowded households. In addition to serving familiar food and drinks, it functioned as a center for recreation and socializing. The proprietor of a kafene was usually more educated and better established in his new country than was the boardinghouse owner. He had a better command of the English language than his customers and was often called upon to act as translator, attorney, travel agent, or in any number of other capacities. As a natural outgrowth of his multiple roles, he sometimes ran another business—a newsstand, a grocery store, a rooming house, an employment agency, a bank—on the side. Among the first generation, family relations adhered rather closely to the traditional Bulgarian model. The close-knit family was headed by a patriarch who made all pivotal decisions. The father’s parents often lived in his household, caring for the children while the father and mother worked. Social life revolved around the extended family to a far greater degree than in western European societies. Marriages were arranged by family members or professional marriage brokers. With assimilation, however, came the disintegration of this model. Because women were relatively scarce, they were more highly valued in the immigrant community than they were in Bulgaria. Bulgarian wives, realizing how essential their labor was to their families’ survival in the new country, became more independent-minded. Immigrant women were forming their own organizations and clubs as early as 1913. Bulgarian men, lacking both fluency in English and status in American society, found their patriarchal roles somewhat diminished. Their children assumed an ambassadorial role, explaining and interpreting the society and language of America to their parents. And increasingly, second-generation children left home to attend college or go to work. In contrast, grown-up children in Bulgaria left their parents’ homes only to marry, settling nearby even then. As families assimilated, the traditional hierarchies flattened, giving women and children a greater voice in their households. According to Orthodox tradition, a child born on the day of an important saint must take that saint’s name, or face an unhappy life unprotected by the saint. Baptism is considered an important rite that establishes individual identity before the eyes of God. The godparents bring the child, dressed in new clothes for the occasion, to church. Relatives and friends are invited to attend. If either godparent has not been baptized, he or she must be baptized at that time in order to be permitted to be godparent. The priest blesses the child and then bathes the child in a tub of warm water. Then he sprinkles with holy water a fragrant plant symbolic of good health, called the zdravets. After the baptism, there may be a celebratory dinner at the parents’ home, to which guests typically bring gifts of money. Each year thereafter, the godmother goes to church and lights a candle on the child’s baptism day. Proshtupulnik is a non-religious tradition that celebrates a child’s first step. Family and friends are invited to bring objects symbolic of various professions. These objects—a paint brush to symbolize art, scissors for the tailor, a pen for the writer, money for the banker, a globe for the world traveler, and so on—are arranged on a small table. The parents then roll a rounded loaf of bread toward the table and urge the newly ambulatory child to chase it. Once the bread falls at the foot of the table, the child is instructed to choose one of the objects on top. According to tradition, the child will choose the tool of his or her future profession. Typically a month in duration, the Bulgarian engagement period seems short to most Americans. Once a couple announces their intention to marry, the parents of the groom visit the bride’s home. Bringing gifts and money for her parents, they formally invite the prospective bride to join their family. An engagement party takes place at the bride’s home after she and her parents have agreed to the marriage. This practice has been modified in the United States, where it may be difficult to arrange wedding festivities in one month’s time and where Bulgarians marry non-Bulgarians. Shortly after the engagement, a maid of honor and a best man are chosen. Their roles are more than ceremonial; they are expected to aid the couple in the wedding preparations and to help them throughout their married life. Among other responsibilities, they are expected to be godparents to the couple’s children. It is also understood that the maid of honor should buy or otherwise provide the bride’s bouquet and wedding dress. On the last night of the engagement—the night before the wedding—the bride’s house resounds with sad songs of leavetaking. Far from celebrating the joys of marriage, these songs mourn the bride’s imminent departure from her parents’ home. Each subsequent part of the wedding is also characterized by appropriate music; folk songs mark the arrival of the groom’s party at the bride’s house, the emergence of the bride to join them, and the procession to the church. A traditional wedding band plays lively dance music throughout the festivities following the ceremony. 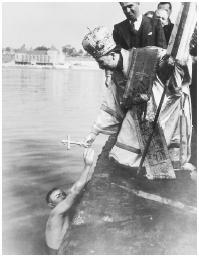 Bishop Andrey Velichky of the Bulgarian Eastern Ortodox Church receives a cross from a swimmer as part of the ancient blessing of the water ceremony. bride fresh flowers. The couple might now engage in a folk custom that supposedly foretells which spouse will rule over the other in married life: each tries to be the first to step on the other’s foot. Many modern couples, preferring to regard each other as equal partners, choose to forego this custom. In cities, newlyweds visit and lay flowers at various monuments while the guests make their way to the reception. The purpose of this custom is to allow the bride and groom to be the last to arrive at the reception, which is usually held in a restaurant, hotel, or private home. Once they arrive, the couple finds, placed on a table, a round, home-baked loaf of bread and a bowl of honey. Before the assembled guests, the bride dips a chunk of bread in honey and puts it in the mouth of the best man while the groom follows suit with the maid of honor. Then the bride and groom feed each other pieces of honey-dipped bread, each trying to outdo the other with larger and more unmanageable chunks. A second loaf of bread is provided for another custom, in which the husband and wife each grip the bread and pull. Whoever breaks the larger piece will, according to tradition, be the dominant partner in the marriage. At the reception, a feast of lavish dishes and wine is punctuated by live folk music. Guests of all ages join in the horo, a circular line dance, whose leader leaps and performs difficult steps while waving a long flagpole. Traditionally, the wedding band was composed of folk instruments; today it may be a union of Bulgarian folk and modern Western instruments. The band’s playlist may also be divided between modern pop songs and folk music. In Bulgaria today, a family announces a relative’s death by issuing cards or fliers to acquaintances and posting notices in offices or on building walls. Funeral services are usually held inside a sermon hall at the cemetery rather than at the graveside. There, a priest or employee of the cemetery leads prayers for the dead and reads a short sermon. A band plays solemn music as the coffin is led to the grave. Guests bring flowers, making sure that each bouquet includes an even number of flowers, since odd-numbered bouquets are reserved for festive occasions. Close family members dress in black for the first 40 days following the funeral, and sometimes longer. Mirrors in the home of the deceased are covered with black cloth. Forty days after the funeral, the family of the deceased holds another service to celebrate the soul’s flight from the body. Followers of the Bulgarian Orthodox faith believe that the spirit leaves the body forty days after death; some say there is scientific proof the body becomes perceptibly lighter on that day. More fliers, bearing a photo of the deceased, are posted announcing the occasion. Guests congregate at the grave or at church, where they light candles for the deceased and are fed ceremonial foods. The most common dish eaten on this day is zhito, or boiled whole wheat topped with sugar and nuts. Most Bulgarian Americans belong, at least nominally, to the Bulgarian Orthodox Church, an independent national branch of Eastern Orthodoxy. The first Bulgarian Church in America was established in 1909 in Granite City, Illinois. Shortly after the founding of Granite City’s St. Kyril and St. Methody, the Holy Synod, the church’s Sofia-based ruling body, authorized the dedication of a second church, Holy Annunciation, in Steelton, Pennsylvania. In the succeeding decades, 30 additional Bulgarian churches were founded, all under the jurisdiction of the Holy Synod. Many of these no longer exist. Administratively, the churches belonged to the Bulgarian Eastern Orthodox Mission for the United States and Canada. In 1938, the mother church elevated the mission to the level of a diocese and installed Bishop Andrei Velichki (d. 1972) as its titular head. However, the rise of Communism in Bulgaria contributed to a growing friction between the American churches and the authorities in Sofia until nine churches finally broke relations with the Holy Synod in 1963. They established an independent diocese headed by Bishop Kyril Yoncheff. In subsequent years, the Bulgarian American churchgoing community became increasingly polarized, as some continued to attend churches that recognized the authority of the Holy Synod in Bulgaria and others refused to go to churches which they believed were compromised by ties to the Communist regime. Even after the collapse of Communism a bitter divide still separates churches of the independent diocese from those of the loyalist diocese. The church has nonetheless remained at the heart of community life. After attending services conducted entirely in Bulgarian, immigrants can attend social events organized by church groups or simply exchange gossip and argue politics. New immigrants may take advantage of English lessons or job counseling services. In the nineteenth century, it had become commonplace for Bulgarian peasants from poor, mountainous regions to leave their homes and seek temporary work abroad, usually in neighboring countries. These migrant workers, called burchevii, wandered to such countries as Turkey and Egypt, but always with the intention of returning home with their earnings. Most of the early immigrants in America were burchevii. They tended to be single men, usually uneducated peasants and laborers who found work in the industrial centers of America, in railroad construction, or in the steel mills, mines, and automobile factories of the Midwest and Northeast. Between 1910 and 1929, the number of Bulgarians who returned to their native country outstripped the number who immigrated to the United States. Some returnees left to marry and buy plots of land with their savings. Others went back to serve in the Bulgarian army during the Balkan Wars and the First World War. Those who stayed continued working in factories and mines in order to save enough to money to enable second- and third-generation Bulgarian Americans to receive an education and enter the professional ranks of American society. The earliest Bulgarian American political organizations grew out of social need. Groups of immigrants who hailed from the same village formed mutual benefit societies in which members pledged to support each other in times of financial hardship. Patterned after similar organizations in the home country, the first-known Bulgarian organizations, founded by Macedonian Bulgarians, arose in the United States around 1902. They reflected the predominance of Macedonian Bulgarians among the early immigrant pool. In 1906, Iliia Iovchev, a Bulgarian-born employee of the Immigration Bureau at Ellis Island, started the Bulgarian and Macedonian Immigrant SocietyPrishlets (newcomer). Its purpose was to help immigrants through the admission procedures at Ellis Island and settle in the New World. A women’s charitable organization called Bulgarkata v Amerika devoted itself to performing charity work on behalf of both the local community and the women’s native villages in 1913. That same year, the Bulgarian People’s Union, the first group with a national profile, emerged. By that time, nearly 30 mutual benefit societies had been organized around the country. Their numbers continued to mount, and by 1933 there were over 200 such organizations with a total of 10,000 members. One of the longest-lived national organizations was the Macedonian Political Organization (MPO), founded in Fort Wayne, Indiana, in 1922. With branches in many cities, it supported the claim that Macedonians are ethnically Bulgarian and promoted the creation of an independent Macedonia. From 1926 onward, the MPO published a Bulgarian-language weekly called the Makedonska Tribuna. The group changed its name to the Macedonian Patriotic Organization in 1952. Some immigrants were also involved in the national political scene. Before World War II, many Bulgarian American workers were active in leftist or labor causes; some belonged to the Bulgarian Socialist Labor Federation, a group founded in 1910 that later merged with the American Socialist Labor Party. Postwar immigrants, on the other hand, tended to belong to strongly anti-Communist organizations, such as the Bulgarian National Committee, set up in 1949 by former Bulgarian politician Georgi M. Dimitrov. Competing right-wing groups organized the royalist Bulgarian National Front in New York in 1958. In an attempt to unite a number of splinter groups, an anti-Communist umbrella organization calling itself the American Bulgarian League arose in 1944. Its goal was to promote understanding between Bulgaria and America. The fall of communism in Bulgaria has led to a revival in organizational activity in America. As new groups arise to support specific political agendas in Bulgaria, existing groups have re-focused their activities to help newly arrived immigrants or to bridge cultural gaps between the United States and Bulgaria. 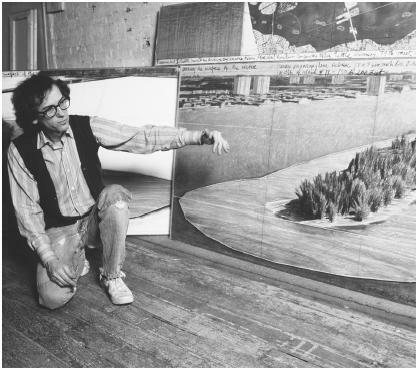 Christo, a Bulgarian American artist, explains how he will “wrap” several Florida islands, just as he made a 24 mile long fabric fence in California. Although Bulgarian Americans are comparatively few in number, their contributions to American society have been significant. The list below provides a small sample of notable Bulgarian Americans. The artist Christo Javacheff (1935– ), or “Christo,” fled Bulgaria in 1956, and settled in New York several years later with his French-born wife and son. Before gaining admission to the United States, he studied and created art in Vienna, Geneva, and Paris. It was in Paris that Christo’s signature style began to emerge, as he experimented with wrapping objects in lengths of cloth or string. Later, Christo focused on the design of monumental, non-permanent installations for public spaces. His art interacted with existing buildings, structures, or geographical features. For example, an early project marked the first anniversary of the construction of the Berlin Wall by blocking off a busy Parisian street for three hours with an “iron curtain” constructed of 204 oil drums. Later projects continued to provide oblique, but highly visible, social commentary. Other accomplished Bulgarian American artists include Atanas Kachamakov, a sculptor who founded an art school in Los Angeles; Constantine Vichey, a Columbia-educated architect and the designer of the Varig and Aeroflot offices in New York City; and Nevdon Koumrouyan, a jewelry designer whose work has been exhibited at the Smithsonian Institution. Arguably the most influential Bulgarian American businessman today, Frank Popoff has headed the chemical giant, The Dow Chemical Company, since he was named its Chief Executive Officer in December 1987 and its Chairman in December 1992. Born in Bulgaria, Popoff immigrated to the United States as a small child. He joined Dow Chemical in 1959, immediately after earning his M.B.A. from Indiana University, and rose quickly through the ranks. Popoff serves on the boards of several corporate and philanthropic organizations. The banker Henry Karandjeff came from an earlier generation of immigrants and had a more local profile. Born in a Macedonian village in 1893, he arrived in the United States at the age of 13. He graduated from the St. Louis University in 1919 and later founded two savings and loans banks in Granite City, Illinois. When he retired, he left a successful business to his son. Peter Dimitrov Yankoff (1885-?) drew upon his immigrant experience to pen the 1928 novel, Peter Menikoff: The Story of a Bulgarian Boy in the Great American Melting Pot. Another Bulgarian immigrant, Boris George Petroff, wrote Son of Danube (1940). The journalist Christ Anastasoff authored scores of articles, many of them about Bulgarian and Macedonian immigrants. His book A Visit to Yugoslavia and Macedonia was published in 1957. Boyan Choukanov catered to a primarily Bulgarian American audience as editor of the American Bulgarian Review and as host of the weekly cable television show “Balkan Echo” in New York City. Stephane Groueff, a New York-based reporter, published Manhattan Project, a book about the history of the development of the atomic bomb. On CNN International, the face and voice of Ralitsa Vassileva (1964– ) is beamed around the world by satellite as she anchors the news network’s “Headline News” and “World Report” shows. The psychiatrist George Kamen (1942– ) was still living in Bulgaria when he pioneered the idea of group therapy in the late 1960s. The revolutionary new treatment brought him both professional acclaim and political troubles. Because Kamen worked with groups of patients who discussed with each other their deepest thoughts and emotions, he inevitably attracted official scrutiny. Kamen soon became the target of a campaign of harassment, and decided to flee Bulgaria. After several unsuccessful attempts, he escaped to Vienna, and from there, to political asylum in West Germany. Kamen and his wife Katia, also Bulgarian, arrived in the United States in 1980. Today he has a private practice in New York City. A colorful and energetic writer and politician, Stoyan Christowe (1898– ) emigrated from his native Macedonia in 1911. The teenager first settled in St. Louis with a group of older men from his village. Christowe taught himself English and was admitted to Valparaiso University in Indiana. He became a reporter after graduating and, in 1928, was sent to the Balkans as a foreign correspondent for the Chicago Daily News. During the Second World War, Christowe served in Military Intelligence in the Pentagon. In 1961 he was elected a Vermont state representative, a post he held until his election to the State Senate in 1965. Running as a Republican, Christowe was re-elected to four more terms. He retired in 1972. Christowe’s eventful life provided excellent material for his books, which include memoirs, novels, and a volume about Macedonia. This Bulgarian-language monthly was first conceived as a newsletter in 1991. Its founders, two immigrants who had been journalists in their native Bulgaria, changed to a broadsheet format in 1993. Combining material from their native country and their adopted one, the editors dedicate the first three pages of each issue to Bulgarian news and the two succeeding pages to practical advice about living in the United States, such as the fundamentals of starting a business. The remaining three pages contain advertising and articles focusing on American news and culture. Contact: Orlin Krumov or Sam Todorov, Editors. Address: 338 West Miner Street, Apartment 3-B, Arlington Heights, Illinois 60005. Founded in 1927. Biweekly general interest newspaper in Bulgarian, Macedonian, and English. Contact: A. A. Virginia N. Surso. Address: Macedonian Patriotic Organization, 124 West Wayne, Fort Wayne, Indiana 46802. Bulgarian American Chamber of Commerce. Founded in 1993, the Chamber of Commerce is a non-profit organization that promotes cooperation among Bulgarian-owned businesses in the English-speaking world. 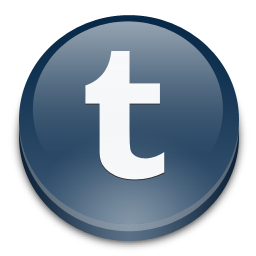 Its annual directory contains listings of businesses, services, churches, and social organizations located in the United States, Canada, and Australia. The Chamber also sponsors cultural events and visits from famous Bulgarians. Its guests have included the opera soprano Ghena Dimtrova, the Bulgarian President Zhelyu Zhelev, and the exiled Bulgarian king, Simeon. Address: 6464 Sunset Boulevard, Suite 850, Hollywood, California 90028. Created in 1989 under the aegis of the Bush administration, this private investment fund is interested in developing the Bulgarian economy. The Fund’s activities are two-fold: it invests in Bulgarian businesses in Bulgaria and it encourages American companies to do business in Bulgaria. Address: 333 West Wacker Drive, Suite 2080, Chicago, Illinois 60606. Works to promote and defend the democratization of Bulgaria and the return to free market economy and Western values, and to make known in America the culture and history of Bulgaria. Contact: Alex Darvodelsky, Member of the Presidium. Address: P.O. Box 46250, Chicago, Illinois 60646. Altankov, Nikolay. The Bulgarian-Americans. Palo Alto, California: Ragusan Press, 1979. Carlson, Claudia, and David Allen. The Bulgarian Americans. New York: Chelsea House Publishers, 1990. Christowe, Stoyan. The Eagle and the Stork, an American Memoir. New York: Harper’s Magazine Press, 1976.